Testosterone And Bone Density: What Is The Relationship? According to most experts in the field of endocrinology, testosterone and bone density have a direct relationship. The Journal of Clinical Endocrinology and Metabolism conducted a study that shared how its subjects (aging men) had a substantial decrease in their serum testosterone concentrations. This also meant that their bone density decreased as they aged. Two groups, a control group and a placebo group were evaluated after treatment with testosterone replacement therapy (TRT). The researchers came to the conclusion that hypogonadal men (those with low T) with low bone mineral density can increase the strength of their bones with TRT. The placebo group showed no change. Hence, testosterone and bone growth and strength are correlated. Approximately five million men have low testosterone levels that can decrease their bone mineral density, according to the National Institutes of Health (NIH). This is an epidemic that needs to be considered more seriously. Testosterone replacement therapy can help, but more professionals need to be open to learning about its effectiveness. Bones can lose their mineral density when a man suffers with low testosterone levels, according to an expert out of Virginia Mason Medical Center in Seattle. This low bone density can then cause the disease osteoporosis. The endocrinologist cited that regular exercise and activity can protect bones by increasing testosterone in the body. The relationship between the amount of testosterone in the body and low bone mineral density was proven in a study done and published in the Journal of Osteoporosis. The research showed that keeping a plentiful (balanced) amount of testosterone in the body is imperative for maintenance of bone health and bone strength. With the appropriate amount of testosterone in the body, there was a decrease in the risk of bone loss and bone breaks or fractures. Testosterone replacement therapy was deemed as the most positive way to replace missing testosterone and to keep a man’s bones strong and healthy. Two important studies that are worth mentioning were published in the Journal of Clinical Endocrinology and Metabolism. One study proved that testosterone replacement therapy was well tolerated by approximately 84 percent of the subjects and was considered a very safe way to treat low done density. Another study demonstrated that men who already had osteoporosis due to bone mineral density loss could still benefit from TRT and still strengthen their bones. Both articles brought up the vital nature of follow up blood testing, examinations and medical supervision throughout therapy. Can low testosterone cause bone pain? When low testosterone causes low bone mineral density and osteoporosis, a person is at a much higher risk for breaking or fracturing a bone than those without low bone density. It is when a bone is broken that people feel the pain. Upon fracturing a bone in any part of the body, major pain can ensue and become debilitating. Maintaining bone density with testosterone replacement therapy is important to help stop bones from getting so weak that they will easily break upon even the smallest pressure that is put upon them. Sources say that osteoporosis is only a painful disease when bones break or fracture. This disease can also lead to pain in the back, spine and vertebrae. Recovering from fractures can be a very painful experience that can last for years. Pay attention to your testosterone levels to avoid diseases such as osteoporosis and other symptoms that are due to low T. Testosterone bone pain can be avoided with therapy such as TRT raising and balancing out testosterone levels properly. It is so important for traditional doctors to pay attention to the relationship between testosterone and bone density. This is something that has been ignored for far too long in the medical field. As of late, more research has come out claiming that low T can cause low bone mineral density (and osteoporosis). 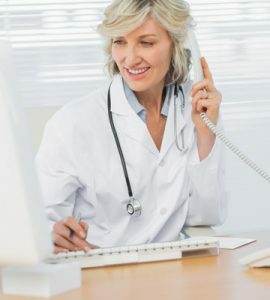 However, those who seek out traditional medical help with doctors who do not consider hormones when diagnosing patients can lose out on very safe and effective treatment. It is easy to check to see if low testosterone is the issue causing low bone density. A scheduled, simple blood test can quickly be done and results can be read easily by trained doctors. After determining that low T is causing low bone density, testosterone replacement for bone density (and other issues) can be prescribed. So many more men would benefit from safe and effective treatment if more doctors were educated and aware of testosterone bone healing. 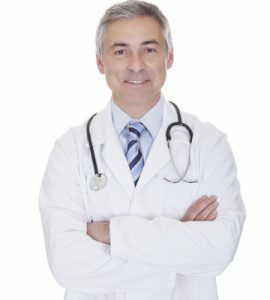 Enough studies have shown that TRT for bone health is highly beneficial for avoiding worsening bone mineral density and the development of osteoporosis, but without doctors advocating for natural TRT to help the problem, men will continue to suffer with the condition. Men also have the risk of being misdiagnosed and given medications that are filled with chemicals and can cause other issues. The negative side effects caused from unnatural medications that are given to patients is high. TRT negative side effects are low and rare. 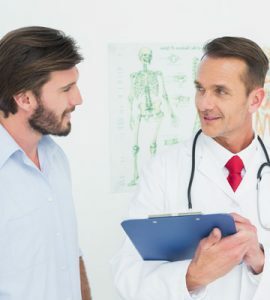 To find out if you could benefit from testosterone replacement therapy for your symptoms of low T, including low bone mineral density, fill out our easy CONTACT FORM located on this page. We will connect with you at your convenience. Call us if you prefer, using our toll free phone number. 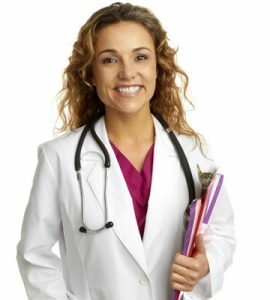 A clinical advisor is waiting to give you your first free consultation, to answer all of your questions and to help you to determine if TRT is right for you.